As Operations Manager on the Sadler Georgen Harmon Team, Kristen Pierson serves as an integral part of the team’s leadership. The job of Operations Manager is one that encompasses many responsibilities, including project manager, trainer, and Client Service Manager mentor. Kristen’s priority is to keep the team organized and ensure that team members have the tools and training they need to do their job effectively. At all times, she lives by the motto “work hard, work smart” and strives to work as efficiently and effectively as possible so that she can focus her time and energy on helping the team succeed and providing the best care for their clients. Kristen earned a Bachelor’s of Science in Broadcast Media from the University of Central Missouri. 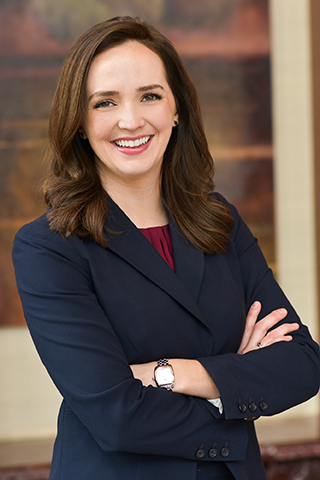 Prior to working at Moneta, she spent over two years at Morgan Stanley as an assistant. In 2007, she joined the Sadler Team. Since joining Moneta, she has enjoyed the opportunity to work with smart people dedicated to acting only in the best interests of clients. Outside of the office, Kristen is an active member of the St. Louis community and is involved in many local charitable organizations. She enjoys attending St. Louis Cardinals and Mizzou sporting events, going on road trips, embarking on outdoor activities such as hiking and camping, and spending time with her husband, Eric.